When I speak at dental or medical meetings, I pose the following query to the doctors: "If everything is equal, would a new patient choose you over a competitor based on your education and experience?" It's a trick question. All thing are NOT equal. You can be the very best, but if your media is not communicating, then too much noise will block your message from getting out. Don't worry, you don't have to be an art director to solve this problem. You just need to learn how to trust design and let it do its job. Have you ever wondered why some ads and websites work and others don't? Most people who are not well acquainted with the creative process think it's mostly luck. That's the furthest thing from the truth. Most experts can help you with No. 1 and No. 3 if you listen to them. However, No. 2 can sink your ad even if you have chosen the right medium and are willing to spend properly on the campaign. The reason poor design undercuts an ad is both plain and simple: People don't see or hear your ad. Good design engages people's senses. Bad design creates noise that makes it easy to not hear, see or pay attention to your ad. People simply turn the page on you. The same goes for web design too ... and now the conversation just got serious. Most of the people who contact you are going to look at your website first. If you've got a design that doesn't engage people there, you're risking losing potential patients or customers. In working with small businesses for more than 20 years, I have come across a lot of people who wanted to save a buck by designing their own ads or websites. Or, maybe their spouse is creative, so he or she does the design work. Or, maybe it's a family member, friend or neighbor who knows Photoshop or a design program, or maybe they can build a low-end website in Wix or some other starter software. I've come across a lot of creative people doing this, so I evaluate outside creative work one way: Does the design have a hierarchy? Because if it doesn't, I instantly know the design is a problem. What is a design hierarchy? It's a method of design that guides the eye, creating engagement with content. By arranging the design elements, a trained and talented designer gives the design time to communicate enough information to engage and keep the reader (or viewer) on the page (printed or web). When someone stops and begins to absorb the information presented, the design is working. 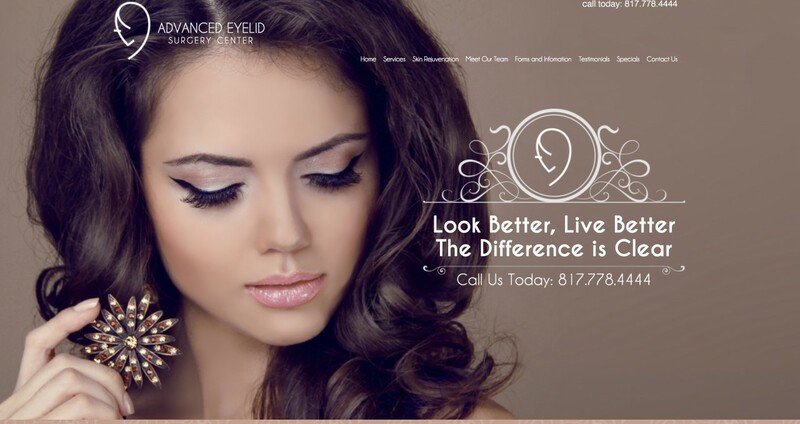 When someone blows past a design because it's not holding their eye, the ad fails, no matter how great the doctor or the offer is. In the case of websites, this is easy to measure. You simply have to look at the time a visitor spends on a given page to know if they are engaged. The hallmark of a poor or underdeveloped site is a low "time on site" measurement. It's easy to find on your Google Analytics. If people are bouncing quickly off your site or not staying very long on certain pages, then the design is not engaging them. You've got a noise problem. Maybe what you have to say is exceptional and extremely valuable to your site visitors. However, the way you have the elements of the page arranged is not appealing. Your marketing is breaking down because of design. This is where we get the cliché "Presentation is everything." First off, don't skimp on the design. In these days of responsive sites that must conform to multiple design templates for desktop, tablet and mobile devices, getting the design right for the different formats is critical. The hallmark of a lower-end designer is a design that does not account for more than one platform. Second: You have to realize that your choice of technology is critical to keeping your design fresh. When your site is in a content-managed programming language, the content can be easily updated, and that includes graphics. Third: You have the power to manage your design based on user feedback. An expert looking at your web traffic can determine places to eliminate friction on your website. Friction is where users stall, causing them to bail out on the page or site. In our website management program, Rising Star, we use several programs to determine where parts of the design and site content can be refined or repositioned in order to keep users engaged. Longer engagement leads to conversions. The lesson here is, if you have made the proper investment in your site to begin with, it can grow and evolve when you need change. You don't always have to build a new website. Let's go back to the trick question I asked at the beginning of this blog. That knife cuts both ways. You can change the balance in your local market by simply being the better communicator. Driving traffic is one part of making that change. Making sure your design is engaging is the other part in that equation. It's actually more than half. That's why design matters. Above, a website by Dog Star Media that shows how good design can yield results: Since posting this redesign, this doctor's conversions have been through the roof.